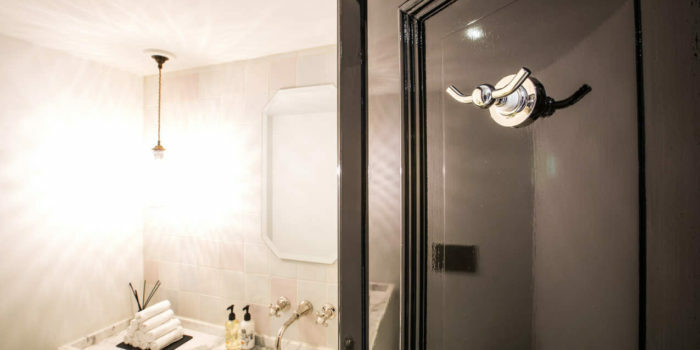 Over the years, bathroom vanities and cabinetry have evolved from standard storage units to beautiful and efficient furniture to organize your toiletries, whilst adding a touch of beauty to your suite. So whether your taste is classic, contemporary or somewhere in between, your bathroom vanity should offer both style and function. 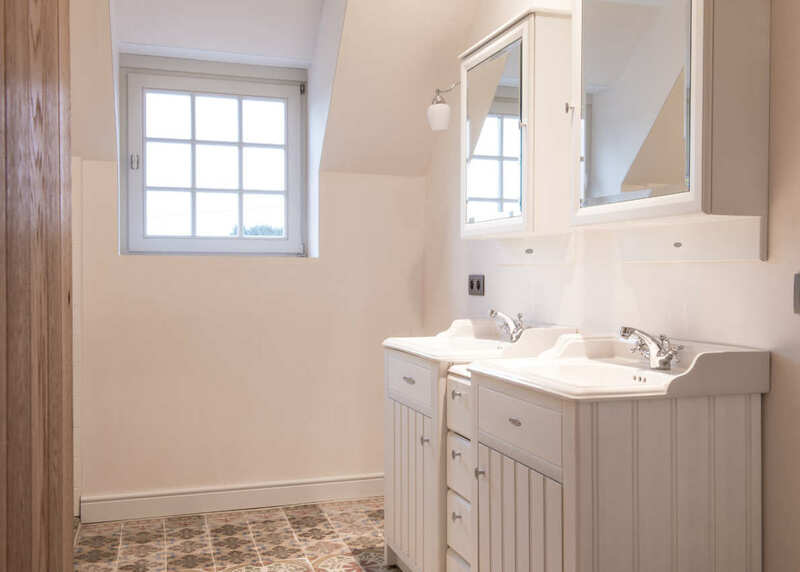 As they take up quite a lot of space in such a relatively small room, bathroom vanities are often the focal point of your bathroom. 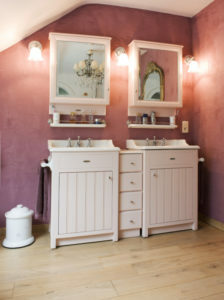 Many homeowners are likely to opt for classic bathroom vanities, attracted to its timeless elegance. A small classic vanity suits perfectly in any size bathroom. Practical in its use and sophisticated in its appearance, our classic Holton single vanity with cabinets looks elegant in both small and open spaces. Even within a truly spacious setting, this set will bring out the overall charm of the room. 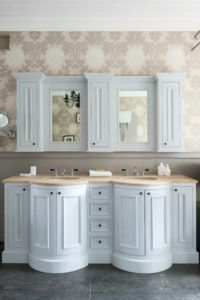 For a shared bathroom, the Holton twin vanity with cabinets provides counter space and functionality to busy bath spaces. Handmade to perfection with only the best selection of pure massif oak, this vanity is a stunning masterpiece to ensure your bathroom has that timeless luxurious finish. The perfect blend of classic styling and the ease of a contemporary piece. Contrary to their traditional counterparts, which reflect a more vintage style, contemporary bathroom cabinets reflect a more modern look. Efficient, elegant and minimal design tends to appear commonly when it comes to contemporary bathroom vanities. Our Oxford vanity collection offers the sleekest and most exceptional designs as well as signature simplicity – a simplicity that makes these units essentially timeless. Its clean lines and soft shapes fit right in with today’s homes. The simplicity of modern design emphasizes contrast, so consider white vanity sets against dark walls. A handmade English porcelain basin. In other words, everything you need to create a spa-like feeling at home. Grab a Turkish towel and some cucumbers — it’s time to relax in your private sanctuary. Make your suite spectacular by adding the finishing touch to your bathroom vanity. The hardware you pick changes the entire look and feel of your bathroom. 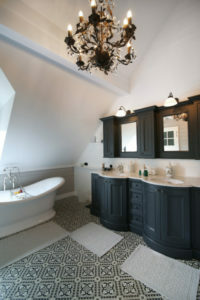 A fitting mixer will accent the style of your bathroom vanity. For a quick overview of our handmade tap ranges, have a look at this blogpost. In a few weeks we will introduce the Middleton range on our website. This English Country style collection combines traditional and contemporary design, by mixing warm wooden tones with clean, subtle lines. Just like our other ranges, the Middleton cabinets are handmade by skilled craftsman and dedicated woodworkers with decades of experience. 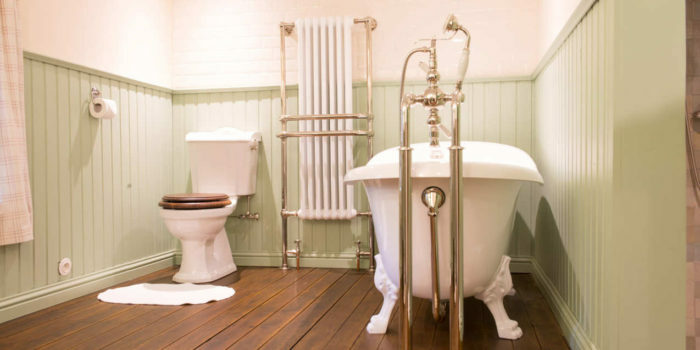 Kenny&Mason wants to inspire you with traditional and modern bathroom ideas to help you create a lush space. Tell us about your project.